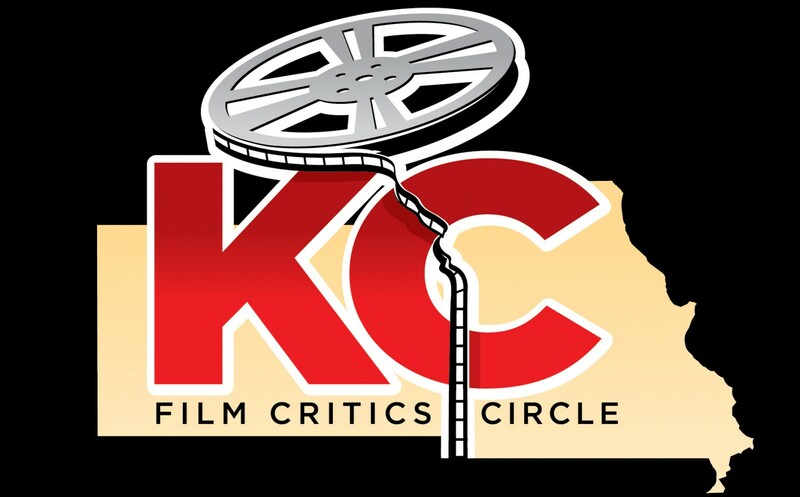 Since 1966, when it was formed by Dr. James Loutzenhiser, the Kansas City Film Critics Circle has been at the forefront of the cinematic community in Kansas City. In fact, it is the second oldest professional film critics’ association in the United States, after the New York Film Critics Circle. With the end of the year, it’s time to reflect on the best of the best of 2017. As a new member of the KCFCC, this was my first year participating in the annual voting and I can say it was quite fun discovering films I might not have otherwise watched. So, grab a drink and some popcorn while you get out your personal checklist and see what the KCFCC voted as the best in the 52nd Annual James Loutzenhiser Awards. 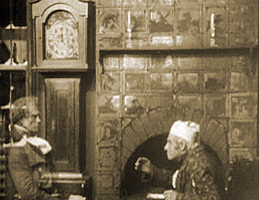 With three film adaptations of Charles Dicken’s A Christmas Carol by 1910, early film was already beginning to advance. Slightly longer production times were becoming more common and many eyes in Hollywood were focused on adapting stage productions for the silver screen. This was also common in the UK, as many stage actors would begin to make the transition to cinema. However, the stage was still considered legitimate while film was still thought of as a passing fade by many. Enter Sir Seymour Hicks, the first actor to bring his stage performance of Ebenezer Scrooge to celluloid. Hicks was born in 1871 and would make his stage debut at the age of nine. By 16, he was joining a theatrical company and touring America. 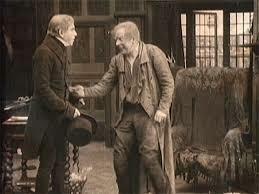 In 1901, the year of the first film adaptation, Hicks graced the stage as Scrooge for the first time as well. At the young age of 30, Hicks began a lifelong relationship with the role. He would play the role thousands of time on stage, so it’s no surprise that he would also play Scrooge on film not once, but twice. The first was in 1913 before Hicks had even turned 40. Scrooge (1913) opens with a brief description of the story to unfold with a vision of Charles Dickens writing the story. Then, a description of Scrooge is seen before the story proper begins with Scrooge arriving at his office. 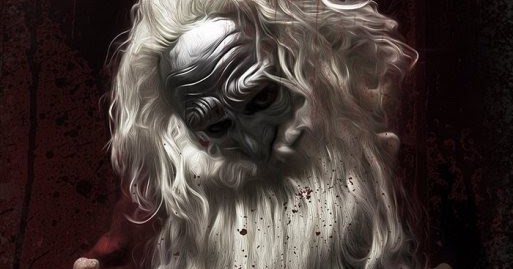 With a running time of 40 minutes, Scrooge is still considered a short film. However, at more than double the length of the previous 1910 adaptation, the extra running time allows for an expanded vision of the classic story. Some aspects of the story seen in this version are not commonly present in other adaptations. There is a seen where a grocer comes to Scrooge for assistance to help feed the poor but is turned away. This replaces the more common scene of the local businessmen asking Scrooge for money. There is also a brief scene where Scrooge gives Cratchit a gift of a used quill which is also never seen in other versions. Granted, Scrooge makes a comment about it making Cratchit work better but I still found that scene particularly odd as it shows Scrooge in an almost more pleasant light too early in the film. Another difference here is that Jacob Marley represents the Ghosts of Christmas Past, Present and Future. Now, this was a plot device that had been done in some of the previous, shorter versions but is an odd choice here considering the slightly longer running time. I also found the special effects less effective here than in the earlier versions. It may be that the shorter American productions were more innovative or had a bigger budget. The script also limits Scrooge’s mobility, having everything take place in his office as well as Scrooge having visions of him helping Cratchit’s family rather than actually displaying on screen. Poor Tiny Tim gets the short end of the script again but, at least, he gets mentioned here more than in the past. All that said, this UK production is still very well done and well worth watching to see the progression of Scrooge on screen. Scrooge wouldn’t be seen in America until 1926, by which time it would have the title of Old Scrooge. 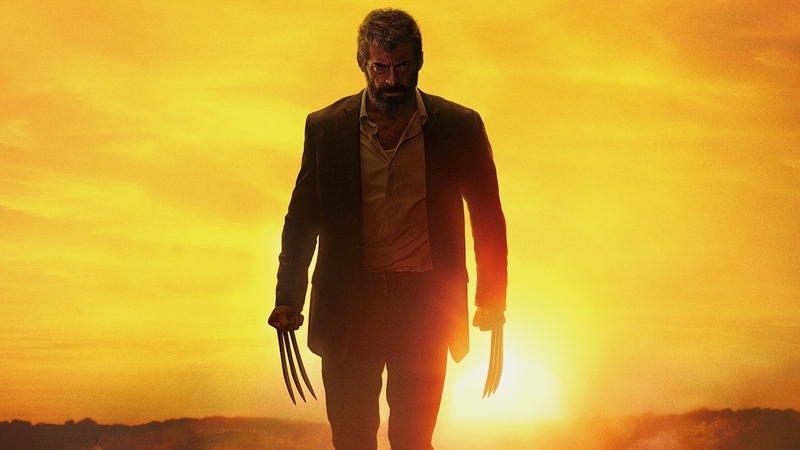 It’s likely that American audiences were less than impressed with this production as there had been quite a few advancements in film in the previous 13 years and 40-minute films were becoming overshadowed by longer and more elaborate productions. However, it would be the last of the silent film adaptations to survive for many years. Five additional films were made between 1914 and 1928, including the first feature-length film in 1916. Sadly, most of these films are now lost with very little known about them. One short two-reel film version was made in 1922 as part of the UK series Tense Moments with Great Authors. In 1929, it was edited down to 9 minutes as an American one-reeler and that version still exists today. It was directed by George Wynn and starred H.V. Esmond as Scrooge. At 9 minutes, it clearly tells a greatly abbreviated version and is really nothing more than a curiosity by today’s standards. That said, Esmond looks quite convincing as Scrooge with a performance that seems very similar to that of Alastair Sim from 1951s Scrooge. We also get to see two of the ghosts in addition to Marley, something overlooked in other versions. I would love to see the full-length version but, for now, this edited release gives us a glimpse of a fairly well-done production. With the arrival of sound, Scrooge would lay dormant for a few years, resurfacing in 1935 with Sir Seymour Hicks reprising the lead role some 22 years after his 1913 film. It would start a new era of Scrooge with so much more of the original story making it to screen with the longer running times and bigger budgets. From Reginald Owen to Alastair Sim to Patrick Stewart, many actors would bring Scrooge to life in ways the actors from the silent era never could. 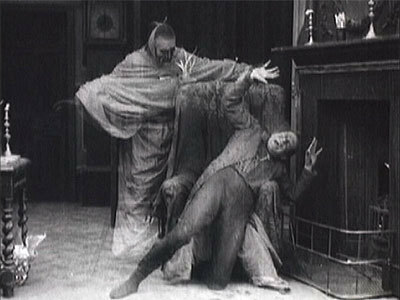 However, there is a great charm and a certain amount of grittiness present in these early silent films. Future adaptations would expand on the tale, allowing the viewer to hear the change in Scrooge’s voice and see all three ghosts on-screen. 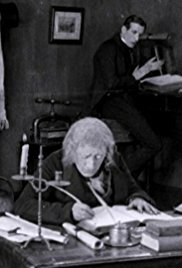 However, these silent films kept the story of Scrooge alive in the hearts of film lovers for generations, solidifying their importance in cinematic history. The immortal opening paragraph of Charles Dicken’s A Christmas Carol sets the stage by establishing the death of Jacob Marley, who is, ultimately, a very key character in Ebenezer Scrooge’s life and in the journey that awaits him. A Christmas Carol is one of the most beloved tales of the holiday season, having been told countless times on stage, screen and radio since its’ first publication in December 1843. 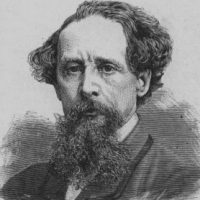 Charles Dickens himself even began public readings of his story in 1849, further cementing the fact that it would never be out of print. Every December, I listen to several different audio adaptations, but nothing ever seems to surpass the 1939 Campbell Playhouse broadcast featuring Lionel Barrymore in the lead role. He would portray Scrooge on radio for twenty years from 1934 to 1953, missing only two years. In 1936, he elected to skip the performance when his wife died and, in 1938, he let Reginald Owen have the spotlight for his performance in MGM’s film adaptation. In fact, Barrymore was cast to play Scrooge in that 1938 film. However, poor health forced him to pass on the role, robbing generations to come of what could have been an iconic performance. Barrymore died on Nov. 15, 1954, a little more than a month before what would have been his 21st performance. 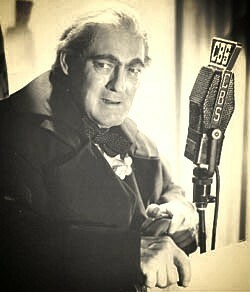 While Barrymore is rightfully credited with making Scrooge a household name in the 1930s and influencing MGM to produce their own film version, old Ebenezer had already been seen countless times on the big screen. In fact, there were nine different adaptations made in the silent film era, from 1901 to 1929, with varying degrees of success. In those early days of film, most productions were often quite short, lasting anywhere from mere seconds to less than five minutes. The very first adaptation came in 1901 and was entitled Scrooge, or Marley’s Ghost. Directed in the UK by Walter R. Booth, it boldly attempted to tell the tale in just over six minutes, with the emphasis on Jacob Marley. 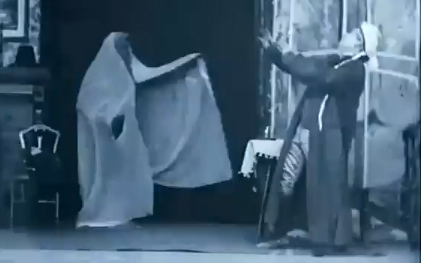 Rather than being shown the errors of his ways by the three visiting ghosts, it’s Marley, wearing a stereotypical ghostly white sheet, who presents the visions to Scrooge. 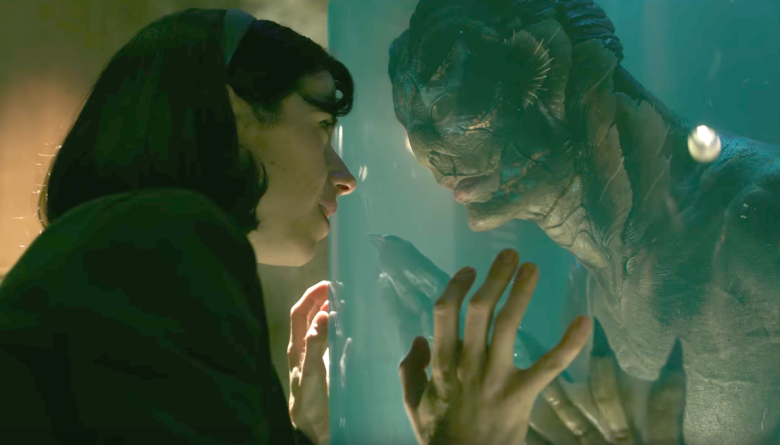 Despite having limited resources, the film actually has some impressive special effects and some scenes were enhanced with early color tinting. 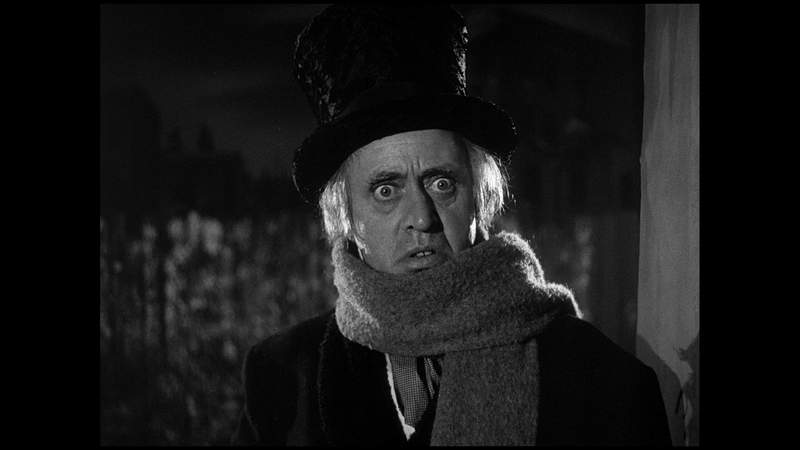 Daniel Smith does an adequate job of portraying Scrooge, despite the fact that the overall presentation seems more like a stage play, which was a common story telling device in early cinema. Thankfully, this earliest film version, only 30 years removed from the death of Dickens himself, still exists more than a century later. Despite that it is missing much of the classic story, it remains a nice curiosity and a glimpse into Christmas past. The next adaptation came in 1908 from Essanay Studios, marking the first American adaptation. Unfortunately, this film has been lost to the ravages of time, so very little is known of this early production. It is believed to have been approximately 15 minutes long and starred Thomas Ricketts as Scrooge. Early scene descriptions give us an idea of what we could have seen and it appears that the three ghosts were actually present on screen this time. Unlike the 1901 film, it doesn’t appear that the film ended on Scrooge helping Tiny Tim. Rather, it concludes with Scrooge simply realizing the errors of his ways. The film received high praise from the critics of the day, so we can only hope that a print resurfaces someday so that modern audiences can once again experience the first American version of Scrooge. Two years later, in 1910, another film version was produced in the United States. This time, the legendary Edison Manufacturing Company gave us a ten-minute adaptation featuring Marc Dermott in the lead role. McDermott is actually well-known amongst silent film aficionados for his roles in such classics as The Sea Hawk (1924) and He Who Gets Slapped (1924) alongside Lon Chaney. This 1910 film is just one of over 140 films McDermott would do for Edison, establishing him as a star in early Hollywood. McDermott does quite well in the role of Scrooge, for as much as we can tell without being able to hear his voice. The extra running time allows more of the ghostly interactions to play out with greater detail. Early special effects help give the past visions a more spectral appearance, rather than being a limitation. This is really the first time we get to witness the longer redemption of Scrooge on screen. Once again, Tiny Tim is less a presence here, due most likely to the limited running time. However, it doesn’t hurt the overall presentation, which is well-worth watching. Three years later, A Christmas Carol is finally adapted into a film with a longer running time and Seymour Hicks would give us the first of his two cinematic versions of Scrooge. Return on Thursday as Scrooge enters the twilight of the silent film era. With Christmas just seven days away, it’s time to begin the annual Countdown to Christmas! 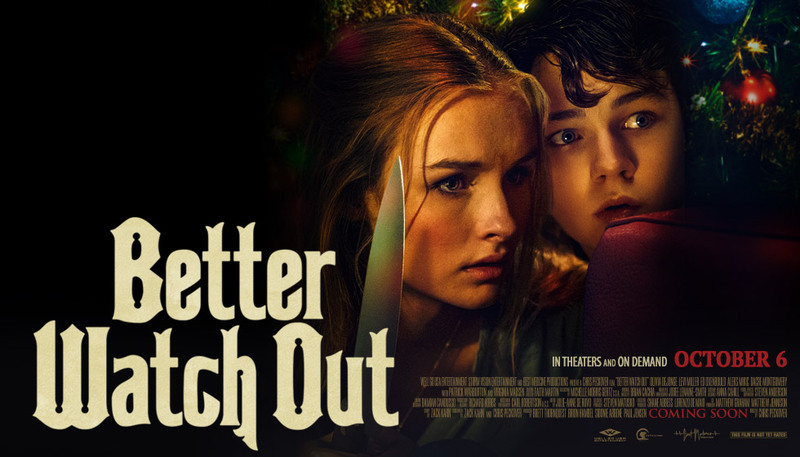 This year, we start the seasonal greetings with a review of a new horror flick, Better Watch Out (2017)! Check out episode 538 of the Dread Media podcast for my thoughts and a little Christmas tune from Alice Cooper! Then, come back on Wednesday for the first of a special two-part series on the silent film adaptations of A Christmas Carol by Charles Dickens! This month on episode 13 of the Classic Horrors Club Podcast, Jeff and I celebrate the legendary Ray Harryhausen with a trip down to Oklahoma to visit the Mythical Menagerie exhibit. Of course, we can’t do this without some help from Steve Sullivan. We also discuss two of Harryhausen’s earlier classics, The Beast from 20,000 Fathoms (1953) and 20 Million Miles to Earth (1957)! 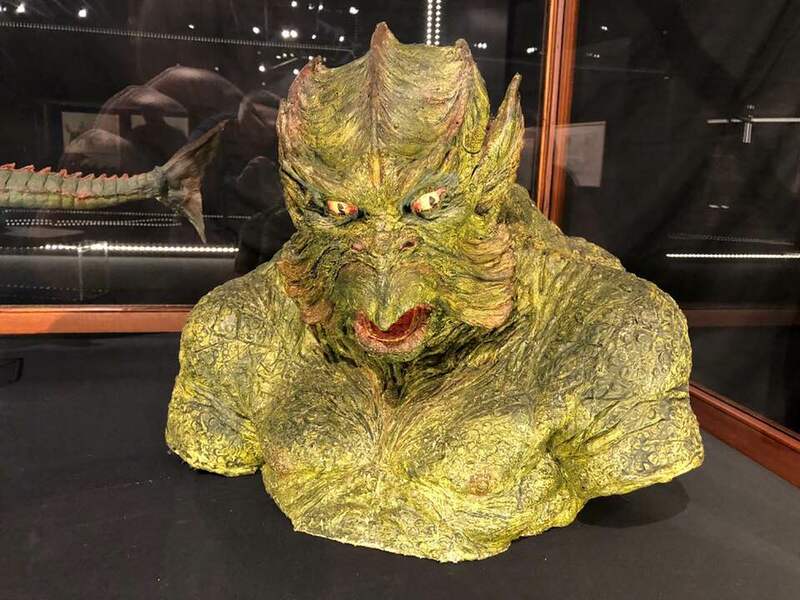 As you listen to the episode, check out Jeff’s Classic Horrors Club blog as he’s posting some awesome pictures from the exhibit. The Classic Horrors Club Podcast is a monthly podcast hosted by myself and Jeff Owens (Classic Horrors Club) available through the Phantom Podcast Network! You can listen through the SoundCloud link above or by subscribing to the Phantom Podcast Network via iTunes.